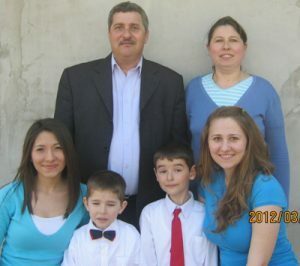 My name is Ion Bordea, and I have served the Lord as a missionary since 2003 in Sinesti. The Lord blessed us to plant a church there and build a house of prayer. 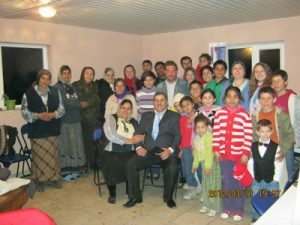 In September 2011 the opportunity was given to us to start a new work in the town of Valea Argovei. We want to take this opportunity to thank those involved with the Philippian Fellowship that faithfully sustains us through prayer, visits, and financial support. But I find we need additional prayer and financial resources as God has revealed a new ministry in a town where we have found people open to the gospel and we have seen the ministry advancing at an unexpected speed. We need your help spiritually as well as financially to continue this ministry that God has called us to do. We are already praying that God will provide a house of prayer for us, as the current place we are meeting is already too small. Our hope is that through these pictures, you will see a small bit of this new ministry that God is doing, and we invite you to be a part of it.